During the monthly Alabama State Board of Educationmeeting on Tuesday, Dr. Cynthia McCarty of District 6 was elected Vice President of the Board. McCarty, who was elected to the State Board in 2014, will serve a one-year term. She is a longtime resident of Alabama and a passionate supporter of education. 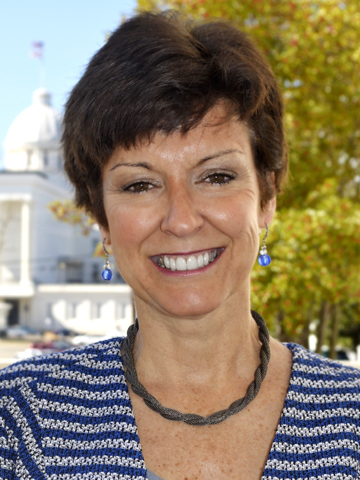 Dr. McCarty began her career in education at Jacksonville State University (JSU) in 1990, where she is now a Professor of Economics in the College of Commerce and Business Administration. For the past 20 years Dr. McCarty has also served as the Director of JSU’s Center for Business and Free Enterprise Education and Entrepreneurship. The Center provides professional development for K-12 teachers and education students, especially in the areas of economics, social studies, and personal finance. Dr. McCarty has also been involved with several other organizations. She currently serves as president of 3E, an organization that strives to enhance the connections between the business community and area schools. She is a member of the Alabama Council for Social Studies and has previously served as a Board member of the Alabama Council on Economic Education. Active in area Chambers of Commerce, she graduated from Leadership Calhoun County in 1999 and taught several sessions of Youth Leadership Calhoun County. In recognition of her contributions to the field of economics, Dr. McCarty was inducted into the Alabama Educator’s Hall of Fame in 2013. Jeff Newman, State Board representative for District 7, was elected as President Pro Tem. By virtue of her office, Governor Kay Ivey serves as President of the board. Watch the official video of Tuesday’s election here.